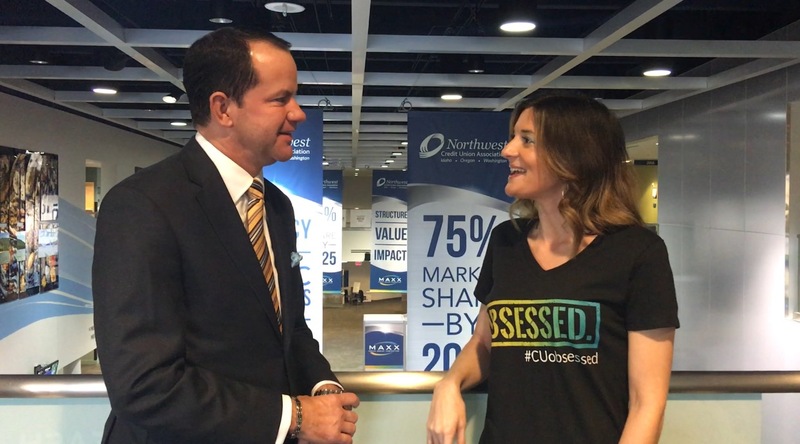 On day three of MAXX, NWCUA CEO Troy Stang calls on Northwest CUs to increase their market share by 25%. NWCUA CEO Troy Stang chats with CU Times Managing Editor Natasha Chilingerian at the MAXX Convention. Spokane, Wash. – In his President’s Address Wednesday morning at the Northwest Credit Union Association’s MAXX Convention, Troy Stang gave leaders from credit unions in Washington State, Oregon and Idaho an ambitious call to action: Increase their share of the Northwest market from 50% to 75% by 2025.